Certified copies and translations | uni-assist e.V. uni-assist universities have shared standards on official certification and certified translation. This section will tell you what to keep in mind. How do copies need to be certified? Using the official stamp: The official stamp must be visible on all pages. 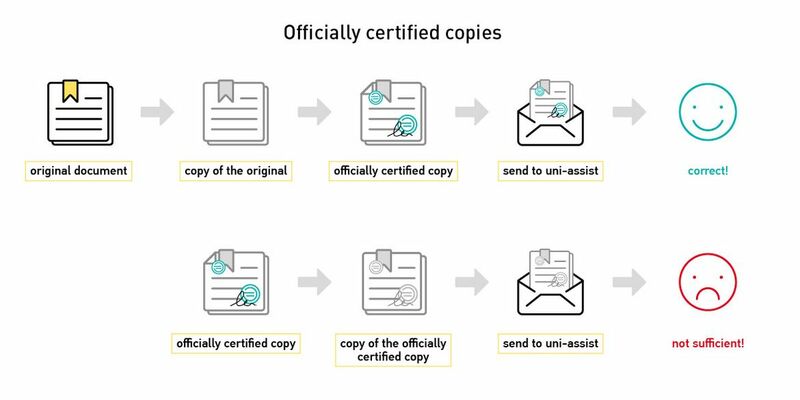 In order to achieve this, the person who certifies the copy attaches the pages to each other in a staggered arrangement and then stamps them with the official stamp. This results in every page carrying a part of the official stamp. With this method, the certification declaration and signature need to be applied to only one page. 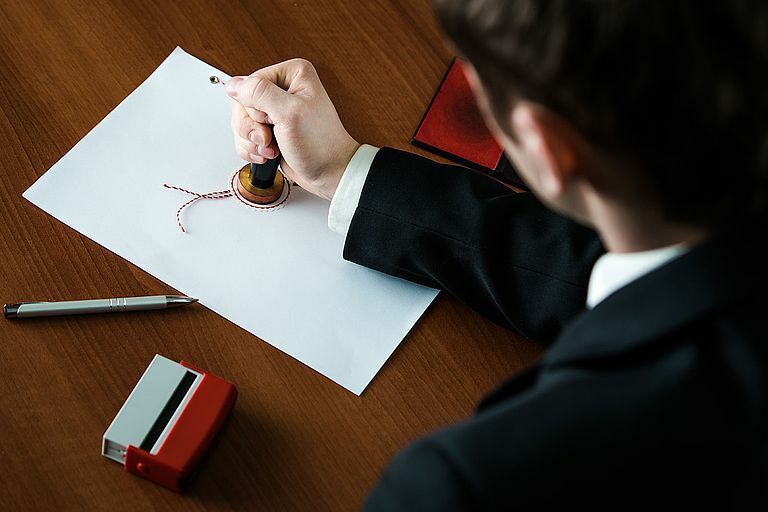 Using a ribbon and an embossed seal: If a notary attests the copy using a ribbon and an embossed seal, the certification declaration and signature also need to be applied to only one page. Where can I have my documents certified? public authorities and notaries which are authorised to supply official certifications in your country of origin. Important: Translators are not authorised to certify documents in their original language. 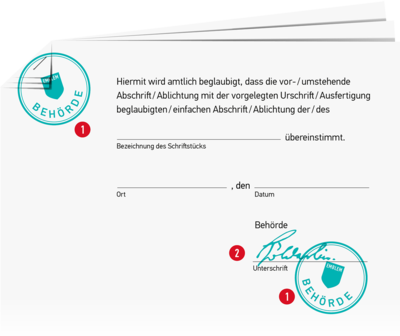 Public institutions in Germany are allowed to certify documents in a foreign language, but are under no obligation to do so. If you cannot find a public institution in Germany that will certify your documents, please contact the embassy of your country of origin or a notary. How do I submit certified copies? Your officially certified copies must be sent to uni-assist by post. Scans / uploads of certified documents are not sufficient. We also do not accept simple photocopies of officially certified copies. 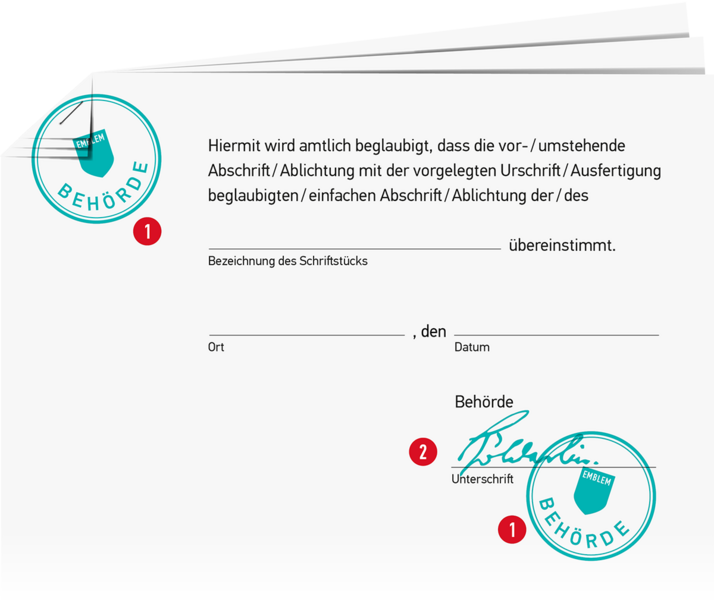 Submit your certificates in their original language, accompanied by a translation in German or English. This also applies to the overview of subjects and grades. If your country issues your certificates (additionally) in German or English, we do not need a translation (exceptions are listed under Info country by country). Certificates in French must be translated into German or English. a department of the issuing school or university authorised to issue such translations. We do not accept non-certified translations from standard translation agencies. Copies of translations also need to be certified. Translators may put their original stamp on copies of translations made by themselves. However, they may not certify documents in their original language. Have you assembled all documents? Have you procured all required translations and certified copies? If you have done both of these things, continue with the next step.